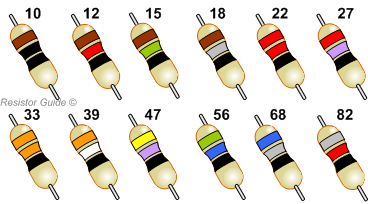 This graph shows all the standard resistor values which occur in the E12 series. 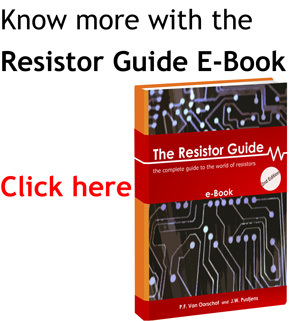 These values are among the most common resistor values. The chart also gives you an example of the color codes used for the different values.